LinkedIn recently recognized our client, Versique, as one of the top 20 most socially engaged, North American staffing firms with 50-499 employees. The ranking takes into account social reach, employee engagement, employment brand, and content marketing power. By using thousands of data points, LinkedIn ranks companies from all over the world, categorized by location and company size. Versique was chosen from more than 60,000 companies nationwide. Versique was founded in 2013 with the vision of investing in talented people, providing the best tools available, and building a company rich in leads. Today Versique has more than 120 recruiters and consultants, including 18 recruiters with more than 10 years of staffing experience each. 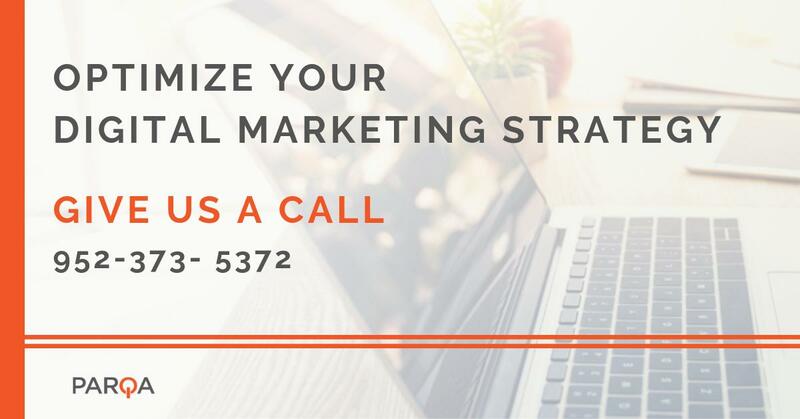 From the beginning, Versique’s primary goal has been to create experiences worthy of a referral, which wouldn’t be possible without a full commitment to inbound marketing and the benefits it provides. With 15,000 followers on LinkedIn and over 16,000 new website visitors monthly, over half of Versique’s revenue is driven by inbound leads. Parqa began as Versique’s own internal digital marketing agency and, after three years, was rebranded to a standalone company. Now, following Versique’s success and the success of dozens of clients, Parqa helps other businesses transform their businesses just as we transformed ours. If you’re looking to gain more followers, engagement, and leads; here are a few tips for how to build your follower base and develop a more socially engaged company or recruiter brand. Ask thought leaders within your organization to commit to writing two blogs a month. Having leaders write their own blogs provides genuine insight a ghost writer may not have, while also establishing credibility. Authenticity leads to followers. Determine what kind of blogs your current follower base would want to read. For example, a recruiting firm owner wouldn’t write about what to bring to a job interview, but rather about the best ways to retain top talent. Develop a content calendar that helps you keep track of the information being published and when it will go out to your audience. Not only will this hold you accountable, but also help you develop a content strategy. Again, simply share information your target audience wants to see. Social networks are made for interaction. Posting your own content will only get you so far. Share relevant content from other sources, interact with people online, and remember it’s a two way street. If you interact with others, they’re more likely to interact with you and help build your brand’s reach. Explain the power of social media to your employees and train them on how to use it to build their own personal brands. Recruiters receive over 10 times the profile visits on LinkedIn than those in other professions. Make those extra profile views count. Additionally, have your recruiters post their open jobs and share them on social media. You’d be surprised how much interaction those job postings drive and the effect they can have on the bottom line. For more tips on how to increase your company’s social engagement, visit LinkedIn’s website. If you’d like to learn more about how online marketing can transform your business, contact Parqa today! 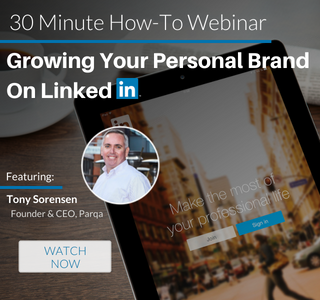 Tony Sorensen is the Visionary of Parqa. As a 19 year veteran and thought leader of the consulting and executive search industry, he is responsible for all aspects of the business, with a passion built around building winning teams, digital marketing, strategic partnerships and philanthropy. Tony is a national industry expert and has spoken and contributed to publications such as NAPS National Conference, EMinfo, Star Tribune, Minneapolis/St. Paul Business Journal, Monster.com and The Fordyce Letter. He has been recognized by the Minneapolis/St. Paul Business Journal as a “40 under 40” award recipient.